Last Valentine’s Day, we asked for your help in doing a little something special to cheer the kiddos on in their treatment. You responded, to the tune of 400 handmade valentines. Let’s do it again this year! How does standing on a horse (who is walking!) 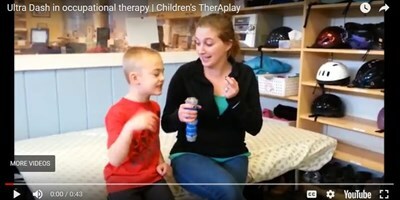 during occupational therapy help kiddo Jackson? in all kinds of ways. 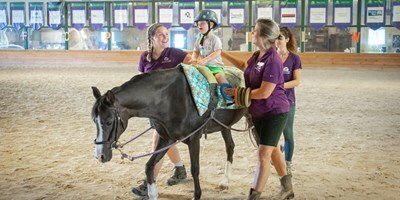 kiddo Becca made someething special for therapy horse Gideon during occupational therapy. Find all the sweetness here. Video: Well somebody had a big day! What happened when Indy 500 driver Jack Harvey came out to Children's TherAplay to work alonside the therapists? Big smiles all around! Sometimes the best way to get a feel for a place is to ask the parents. Here's what Becca's parents had to say about treatment at Children's TherAplay. Pull out your kleenex and enjoy. 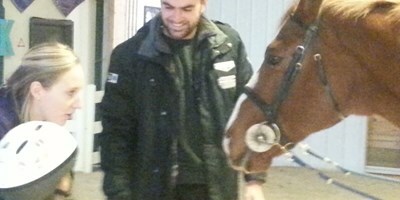 Kiddo Garrett loves triple-crown-winning team Justify so much that, during the on-the-horse portion of his weekly physical and occupational therapy treatments, he pretends to be legendary jockey Mike Smith riding Justify, the fastest horse in the world. Watch this video from RTV6 to see how he got to meet his heroes. Kiddo Charlie may think he’s just riding Fairy Tale and having fun with Miss Sue but he’s actually growing stronger, one step at a time. 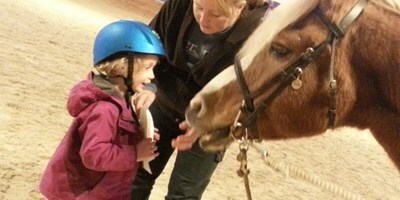 Find out how with a behind-the-photo look at hippotherapy. Kiddo Laila had a big gain in physical therapy about this time last year. Find out what's different now (another gain recently!) and how far she's come. Folks often think of occupational therapy as being about fine motor control and physical therapy being about gross motor, but there’s quite a bit of overlap. Case in point: Kiddo Burke. What’s more fun than playing a game of Ultra Dash during the clinic-based portion of your treatment? 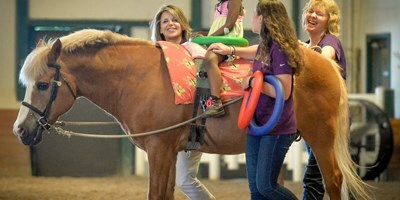 Challenging your occupational therapist to a friendly competition! Way to go kiddo! When Wesley first started therapy with us, this little wiggle worm had a hard time sitting still and holding a pencil. Oh what a difference a horse makes!